POMPANO BEACH, Fla. /Florida Newswire/ — Chip Reid, CEO of Current Builders (currentbuilders.com) based in Pompano Beach, announced that his construction company has donated $100,000 to the College of Design, Construction and Planning at the University of Florida. This is the general contractor’s most significant single contribution, bringing their total donations to the University to $250,000. This endowment will be used to fund scholarships to deserving and aspiring young construction professionals. Current Builders has supported the University of Florida and its mission for decades, so when they heard about the University’s latest campaign, “Go Greater,” they knew they wanted to offer financial support. Dean Anumba reached out to Reid to share his vision to unify the four schools (Architecture, Construction Management, Interior Design and Landscape Architecture & Planning) and to discuss Current Builder’s involvement. Current Builders has been a major player in the multi-family residential market since its inception in 1972 and to date has delivered over 45,000 multi-family units for Class “A” Clients from all facets of the development community. The firm’s portfolio also includes 15 million square feet of office/industrial space and 250,000 square feet of retail. From senior living to student living, village halls and community centers to luxury auto vaults, Current Builders’ résumé is comprehensive with 85 percent of its projects commissioned by existing clients. A proven and highly respected organization, Current Builders is consistently ranked for construction volume in the state of Florida and the Southeast United States. 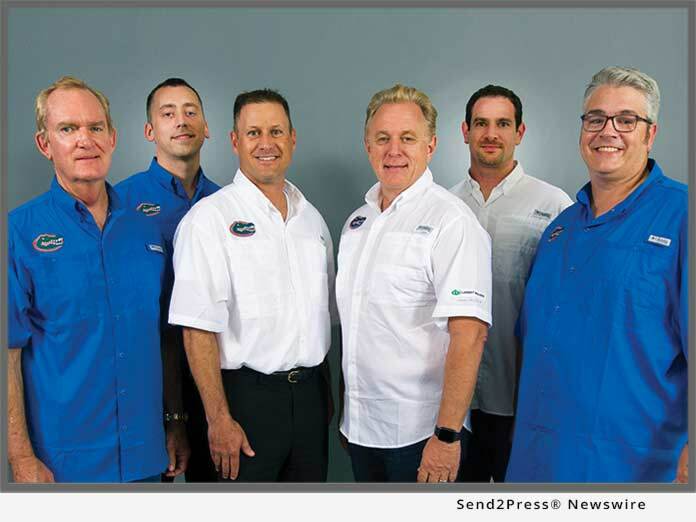 *Web photo caption: UF Alumni Partners of Current Builders.